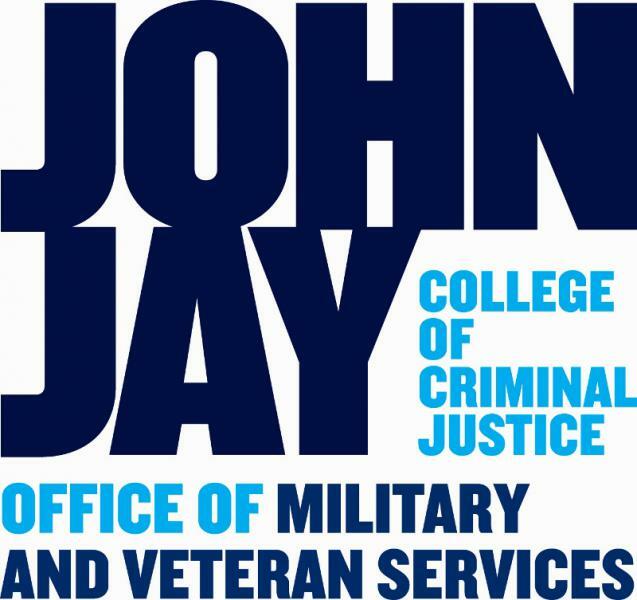 John Jay College of Criminal Justice's Military and Veteran Services supports military veterans, active duty service members, reservists, guardsmen, officer candidates and their family members with vibrant and relevant veteran-focused programs and assistance. 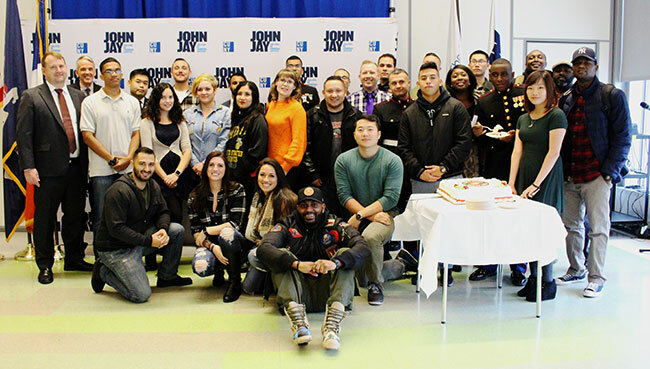 Military and Veteran Services provides student veterans personal support through its on-site services, the student-led John Jay Veterans Association, dedicated Veterans' Center spaces, out veteran honor society chapter and assistance from staff and faculty throughout the college. We actively back veteran students throughout their college experiences with: assistance in admission, enrollment and advisement; peer support programming; suppport for academic and personal success; veteran-focused academic courses; and job preparation, internship, and post-graduation employment programming. 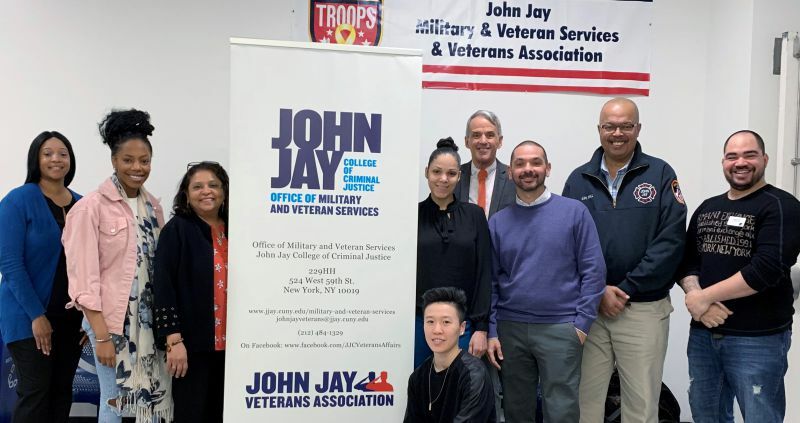 Veterans' Center support: career and academic advisement services; VA New York Harbor Healthcare System VITAL (Veterans Integration to Academic Leadership) peer support specialist; PROVE (Project for Return and Opportunity in Veterans Education) social work interns; and other valuable programs.